2018 saw God’s Own Country, Kerala, suffering from floods, landslides due to incessant rains during the monsoons. While most of Kerala was underwater, Kerala tourism was badly hit where many travellers both international and domestic, cancelled their reservations for different destinations in Kerala. There were many who were stranded with little option but the wait for the waters to recede. Around two months down the line and latest news suggest that Kerala is ready to welcome tourists now. What’s more, Kerala will be organising the largest contemporary art global event in South Asia called the Kochi-Muziris Biennale from 12th Dec 2018 to 29th March 2019. Not to mention the much-awaited Champions Boat League will be held as per its previous schedule in 2018. There is more to Kerala than just Munnar, Thekkady and Kochi. 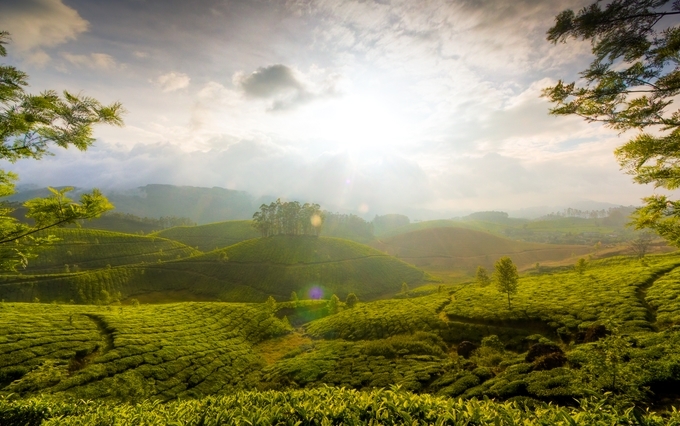 Here’s our look at some of the beautiful but less explored places in Kerala you can visit. 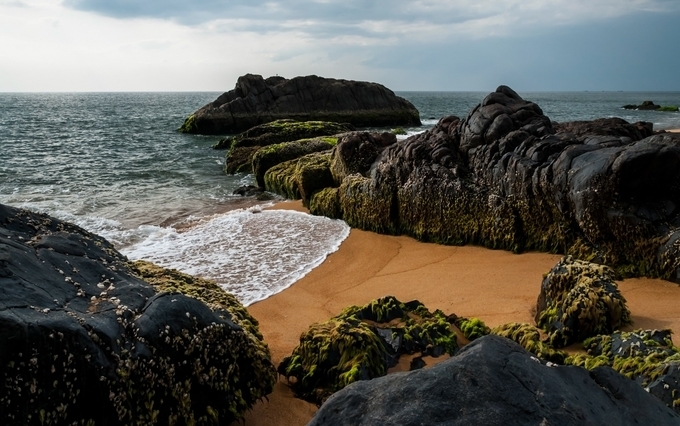 Kasaragod’s unseen treasures: If you would love to explore the unexplored, then Kasaragod is the place you must head to. It is home to plenty of sights that are bound to make you all dreamy, sighing over their mesmerising beauty. Achamthuruthi: A pristine slice of paradise located in the middle of the Tejaswini River (Kariangode River), near Cheruvathur in Kasaragod is both mysterious and mythical at the same time. Check out the long footbridge i.e. 400 m or take a boat cruise through its scenic waters. 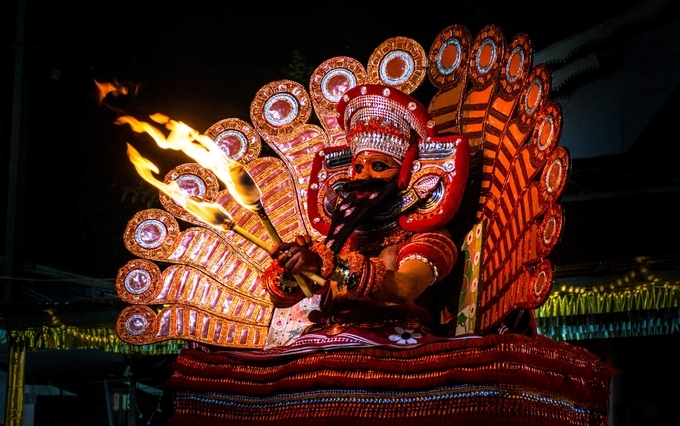 Visit the Vishnu Moorthy Bala Gokulam Temple to see the famous ritual dance Theyyam performed by unmarried youngsters during its annual festival. 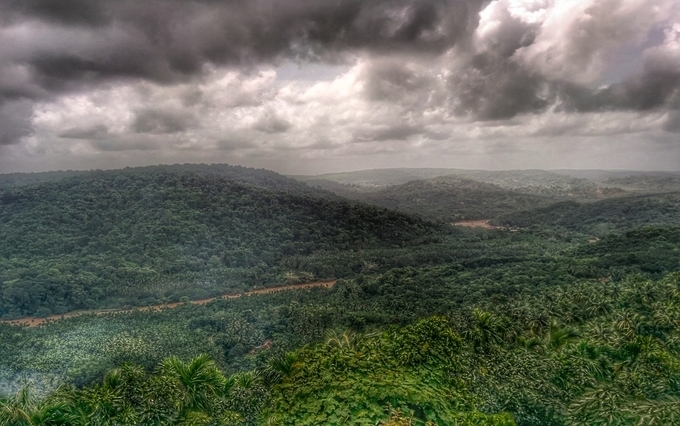 Malom: Hidden on the outskirts of Kasaragod is a quaint village called Malom. 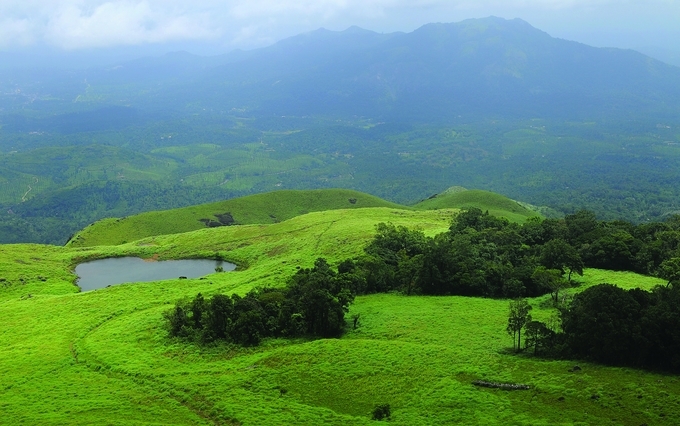 Located on the foothills of the mesmerising Western Ghats, this village is an adventurer’s paradise. It offers options for trekking, ecological trips, mountain biking, adventure safaris and so much more. Don’t forget a visit to the bewitching Thenvarikallu Waterfalls, Thooganpara, and the Mukri-Poker a ritual dance form of Muslims performing the Theyyam. Thonikadavu: Another closely guarded secret of Kasaragod is the Thonikadavu. This secluded farmstead abounds with life attracting you with its tall swaying palms, large rocks, natural pools, and brooks. Kottancheri Hills: The lofty Kottancherry Hills are beautiful and quite bewitching. Located in Kasaragod near the Brahmagiri Hills of Kodagu in Karnataka, this group of hills is at once picturesque and home to lust verdant greenery. To add to your enjoyment, you can also try trekking and mountain biking to explore the green hills. Of course, there are plenty of festivals happening around this time. So, start packing your bags if you’d like to enjoy Navaratri Kerala style today. Check out our more blogs on Kerala Tourism! !